Wondering if you really need pet insurance? Yes, you definitely do — and here’s why. Print out our handy checklist for comparing pet insurance policies. Should you get pet insurance? The simple answer is yes — but what kind of coverage and from which company? There are huge differences among policies and companies. Before we lay out the facts, definitely keep the following in mind: Your veterinarian very likely has a like/hate relationship with pet insurance companies. Vets sometimes find themselves fighting with pet insurance companies over denied claims for their patients. This happens even with the top-rated insurance providers. Good vets will go to bat for you, demanding second and third reviews of denied claims that they believe are valid. Not relevant. All pets risk having an accident or coming down with an illness. It isn’t a matter of if they will become hurt or sick — it’s a matter of when. The best time to get pet insurance is when your pet is healthy and young. Not usually true. Many companies offer a 1-page downloadable claim form. Fill it out, email it back and get reimbursed quickly. It’s a myth that pet insurance costs too much. Dr. Phil Zeltzman, DVM, DACVS, CVJ, a veterinary surgeon, says that not getting insurance is “one of the biggest mistakes” people with pets can ever make. Veterinarians, pet advocacy groups and adoption groups routinely recommend you insure your pet when the pet is very young. There’s a catch-22 about this recommendation. 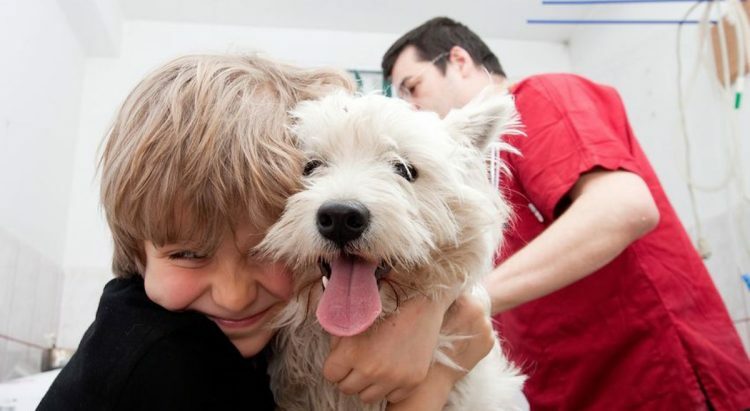 Young pets are generally healthy with no pre-existing conditions. 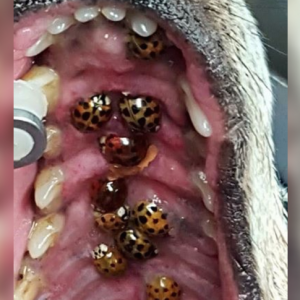 This is why you should insure your pet at an early age before they develop any of those conditions. No company will insure pre-existing conditions. So what’s the catch? These providers raise your rates as your pet ages. Even if your middle-aged dog or cat has been healthy, with no or few claims, your rate is based on their age and you begin to pay steeper premiums based on age alone. By age 12, the premium is $149 a month. You do the math. If this dog lives to an average age of 13, your lifetime pet insurance bill has been $11,172, and this has not covered all his medical costs. Wellness care, deductibles, elective procedures, and denied claims may have come out of your pocket in addition to the 11 grand. Nationwide (formerly known as VPI), AKC Pet Insurance, PetPartners, ASPCA Pet Health Insurance, Hartville Pet Insurance, Embrace Pet Insurance, Figo and PetPlan all raise rates with age. Only Healthy Paws Pet Insurance and Trupanion do not raise rates based on the pet’s age. Policies vary wildly. Some are all-inclusive, while others offer limited coverage or exclude many conditions or treatments. One emergency could far exceed the premium costs. Some policies offer reduced costs for routine procedures, vaccinations and annual exams. There are a variety of companies to choose from for insurance, allowing for plenty of options to suit your needs. Some plans will allow you to go to any veterinarian, not just use their network. Benefits may cover expensive therapies, which could be the difference between euthanasia and giving you more time with your pet. Some plans offer riders for additional coverage such as dental care or accidental death. Some plans will even cover boarding fees for your pet in the event that you are hospitalized. You can have peace of mind knowing that care will be provided for your pet without incurring debt in the thousands. Pre-existing conditions may be excluded. Coverage may be limited by age, or (as mentioned) more expensive. Some policies require you to use their network of vets, or you might have to pay an out-of-network fee or rate. Early cancellation fees apply on some policies. Certain policies may cover only emergencies or accidents. Benefits may be paid as a reimbursement after the vet visit, which requires you to pay at the time of service. Premiums may exceed your current veterinary costs. Breed-specific conditions may be excluded. Long-term care may be limited or have a maximum. Having coverage for multiple pets can get expensive unless the policy offers a multi-pet discount. Some of these pros and cons may not apply to you or be of importance, but it’s important to review an insurance policy thoroughly so you know what your premiums cover. That is a ridiculous suggestion, in our opinion. Yes, it is well known that there is no set price for services from vet practice to vet practice — just like in human medicine — and that price does not always dictate quality of care. But it’s impossible to get a reliable estimate for a “what if” veterinary scenario in advance. You can compare prices for routine things, such as the exam charge, vaccination pricing, and spay and neuter. But comparison shopping ends there. If your pet gets sick, is in an accident or needs surgery, no advance research will really help you determine how much that treatment will cost. Common sense tells you that you can’t predict if your pet will become very sick or suffer an accident in the coming year. That’s what insurance is for. Different vets even in the same practice may not work up a case the same way. A common problem, such as an ear infection or a urinary tract infection, could be treated very differently, and the bill could be $100 or $300. What about a “simple” case of vomiting and/or diarrhea that turns out to be not so simple? 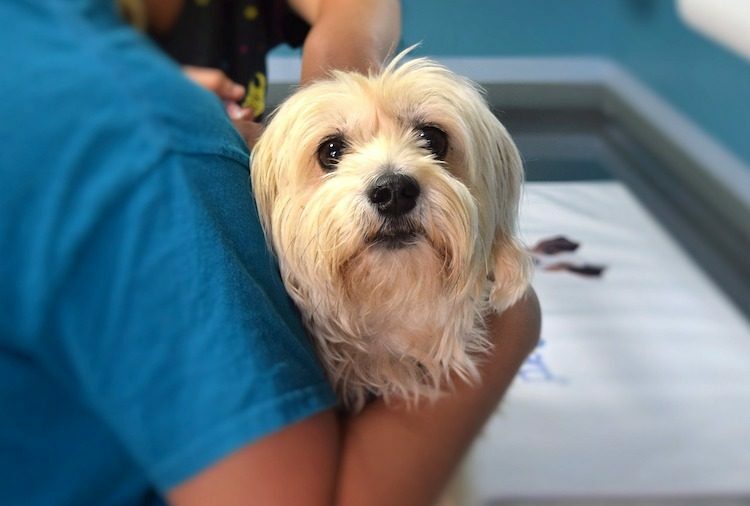 Some pets recover from a simple GI upset with outpatient care, but a fair number of them become really ill if they need GI surgery or if the vomit/diarrhea is caused by a serious illness such as pancreatitis. Your vet has to give you a wide-ranging estimate, from hundreds to thousands of dollars, depending on how your pet’s illness progresses. No advance price shopping or research will help. Referrals and recommendations to specialists or referral practices are becoming the standard of care, as well as after-hour and emergency care. Even if your vet has reasonable fees, most people with pets end up at a specialist or in an emergency hospital several times throughout a pet’s life. These will be hefty bills and won’t reflect the pricing at your regular vet’s office. Consider a pet insurance policy that covers chronic or serious medical conditions, illnesses or accidents. If you are insured, you will be able to get your pet advanced care at a significant savings. Many people can afford a monthly, reasonable charge for pet insurance but could not come up with many hundreds or thousands for an unexpected pet catastrophe. Pet insurance is a godsend in these sad situations. We recommend that you don’t get accident coverage alone. Treatment for medical or surgical conditions can be just as expensive as treatment for a hit by car injury. Paying out of pocket for your pet’s wellness, preventive or elective procedures will probably save you money in the long run. Full-coverage pet insurance policies are overpriced. You will also save money on your premium if you choose a high deductible, just like for your own health coverage. On that second point, have a heart-to-heart talk with yourself and your bank account. 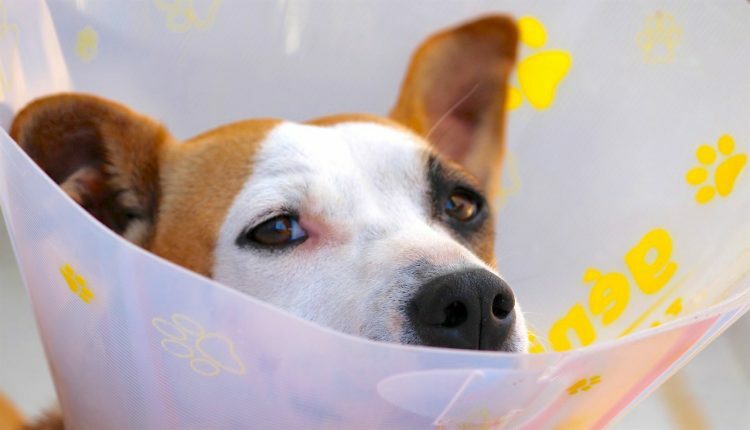 Do you have $5,000 set away for your deductible if your pet is faced with treatment or surgery that will cost $10,000? Or do you need to choose a lower deductible and pay a higher monthly premium? Can I use my own veterinarian, or am I restricted to a network? When it comes to older pets, are there increased premiums, lowered coverage rates or age limits? If I am unhappy with the policy at any time, are there fees or requirements that must be met to cancel the policy? What are the co-payment and/or reimbursement rates? Can I add or remove services according to my needs or preferences? Do visits or emergencies require pre-authorization? What services are available to me when I am out of town? Are any breeds or animal types excluded? Does the policy cover pregnancy, spaying or neutering? Is there a deductible to meet? Is there an annual maximum benefit, and do my claims affect the total? Are pets excluded because of their diet, such as raw diets? Do I get a discount for multiple pets? Are annual exams required to keep my coverage? Does the company have plenty of positive, unbiased reviews? Consider your current annual costs compared to the annual premiums to be aware of the difference — or increase — in your expenses. Although cost is a typical factor, consider upcoming expenses for older pets or illnesses that may become more severe in the coming years. Sometimes it’s hard to imagine what your dog or cat might get into or what illnesses they may suffer later in life. Even harder can be figuring out how your insurance company will help you when it comes to paying the bill. Some of these accidents or illnesses are more common than you might imagine, and they can affect pets at any age. CareCredit may sound like pet insurance, but it’s quite a bit different. Pet insurance is just like people insurance — you pay a premium every month and have that insurance in case your pet has a major medical expense. And CareCredit is a line of credit that can be used to cover costs that pet insurance doesn’t cover. You can actually use it for your own health expenses, too. Think of it as a Visa card that will get accepted only at medical or veterinary facilities. So you could have eye surgery and use your CareCredit card to pay for it, and then swing by the vet’s office to pick up your pup’s flea medicine and use your CareCredit card to pay for that. It’s a credit card, and it covers everything medical: supplies, bills, cosmetic surgery and so forth. It does offer several options as far as terms, where you have anywhere from 3 months to 2 full years to pay off the balance with no interest. And what if you don’t pay that balance off in the time frame specified? Well, then you’re going to get hit with interest charges on the total balance that you originally paid. Just as with any credit card, you have to pay at least the minimum monthly balance to keep your account in good standing, and this is a line of credit so it will affect your credit report. Read that fine print. A CareCredit card covers everything medically as long as your healthcare provider or veterinarian accepts it. You can use it cosmetically, surgically, for equipment, for medications purchased at the vet’s office and so forth. Insurance, on the other hand, covers only what your policy specifies and usually isn’t an option for cosmetic or optional treatments. Another advantage is that having the card gives you the option to pay a large sum of money for a procedure and then pay it off in increments. A third advantage is that this card covers medical and veterinary expenses for both you and your pet. Some of the cons of the CareCredit card are easy to spot right off the bat: It is a credit card, so your interest rate depends on your credit. Late payments will go on your credit report, which affects just about every financial aspect of your life. CareCredit advertises its special financing options as a reason for signing up, but if you don’t pay off the balance in full within the term period, you will be charged interest on the original payment amount — not the balance remaining. Lastly, and this isn’t really a disadvantage per se, but CareCredit isn’t much different from any other credit card in your wallet. It has interest, fees, a credit limit and so on. The only difference is the special term length with no interest, and purchases are limited to medical needs. 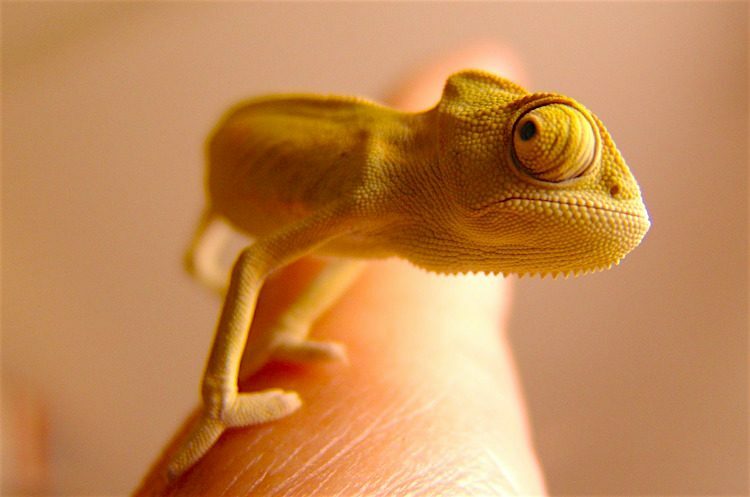 What About Pet Insurance for Exotic Pets? In exotics’ cases, your vet bills may be even higher because they may need extra or different care than the average cat or dog requires. Pet insurance plans for exotic pets vary in cost, depending on factors like species, age and pre-existing conditions. To illustrate this, Nationwide has said that the average cost to cover an exotic pet is around $9 per month.4 For comparison, birds average $15.75 per month, reptiles $8 per month and dogs at $38.58 per month. Nationwide is one of the few pet insurance companies that cover dogs, cats, some birds and many exotics. 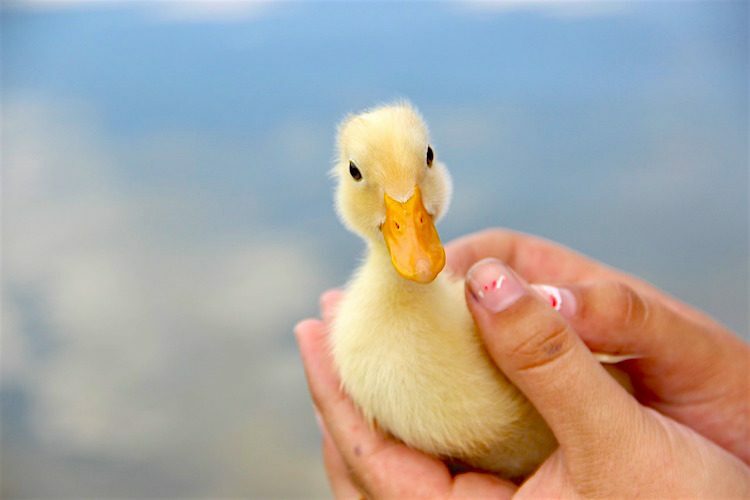 It offers coverage on a wide range of exotics, including birds, ferrets, hedgehogs, potbellied pigs, snakes and more. XInsurance also covers some exotic pets. The policy is tailored to your specific type of exotic pet, and it may not offer you anything more than help with medical costs in the event of an accident, depending on your type of pet. Pet Assure isn’t an insurance program. It’s a discount program and a good option for people who simply can’t find an insurance company that can cover their particular exotic pet. 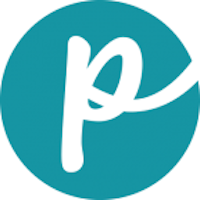 Pet Assure offers discounts on emergencies, routine visits, dental work and more. Even without discounts on lab work or prescriptions, the plan may ease your financial burden significantly. 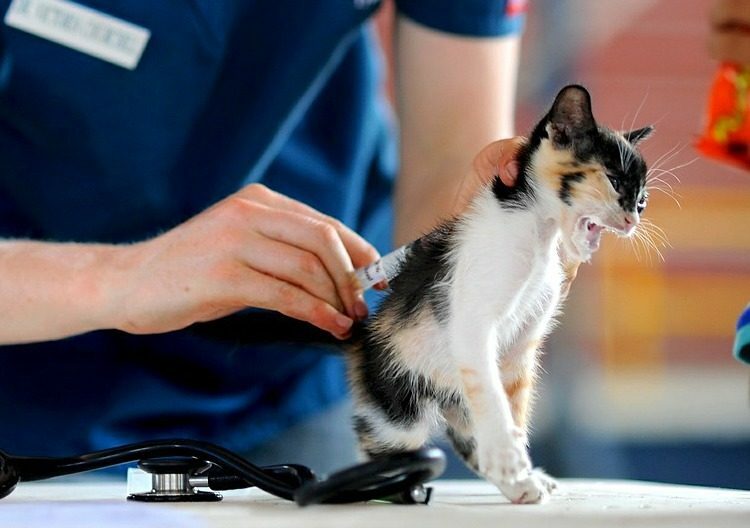 As the quality of veterinary care advances at the speed of light — with the out-of-orbit costs to match it — some kind of pet insurance is still the way to go. Having pet insurance can give you peace of mind if very steep veterinary bills would be something you could not cover on your own. Please feel free to bookmark or print out this page to use as a guide as you compare plans. Blyskal, Jeff. “Is Pet Insurance Worth It?” The Washington Post. Oct. 23, 2018. 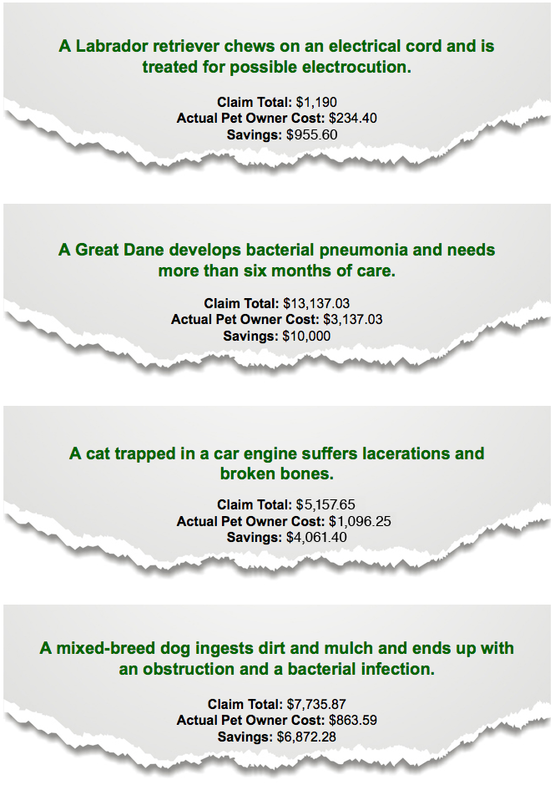 “Pet Insurance.” Consumers’ Checkbook. 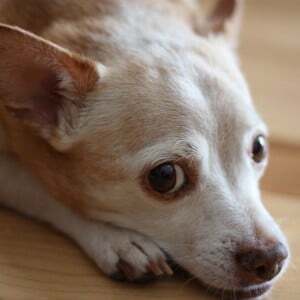 https://www.checkbook.org/washington-area/pet-insurance/. 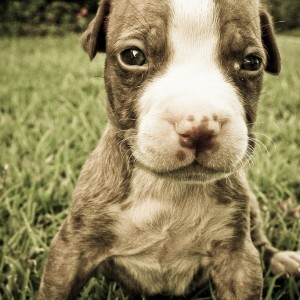 “How Much Does Pet Insurance Cost?” Nationwide blog. Nov. 22, 2017. This pet health content was reviewed for accuracy by a veterinarian. It was last reviewed and updated Feb. 19, 2019.